You may have been familiar with Papart's as one of the homes of the famous tuslob buwa here in Cebu. That was when they started that food venture in 2014 then. Now, the owners Tere and Debbie, are taking on a new journey and opened a diner just November of this year and called it Papart's Diner and Cafe. 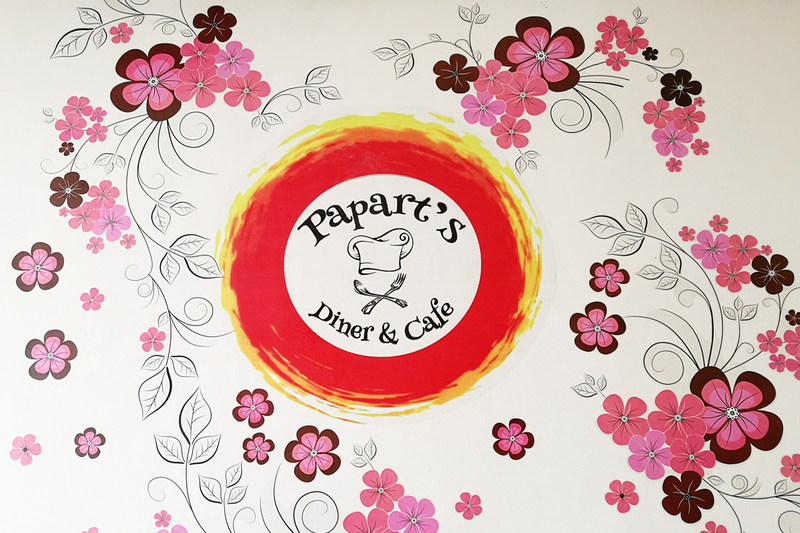 Papart's Diner and Cafe is located in the second floor of Maroo Arcade across Parkmall and beside City Time Square 2 in Mandaue City. The diner is open from Mondays through Sundays 10AM to 10PM. Tere personally invited me (thanks to my friends Gian and Sheila of Adrenaline Romance for recommending me!) over lunch at Papart's Diner and Cafe to try their dishes and how their unlimited chicken wings would differ among all others in the metro. I was invited to First Time Chef Kitchen & Bar last November 16 and I think it was November 23 (exactly a week after!) when I went to Papart's. Who would say no to unlimited chicken wings right? Haha! 200 grams of soft and juice shrimp goodness covered with sauces of your choice - Hot Arcadia, Mexican BBQ, Coco-Curry, Calamansi Garlic Butter, Honey Soy Garlic, Creamy Cheese, Sour Cheese, and Sour Cream. 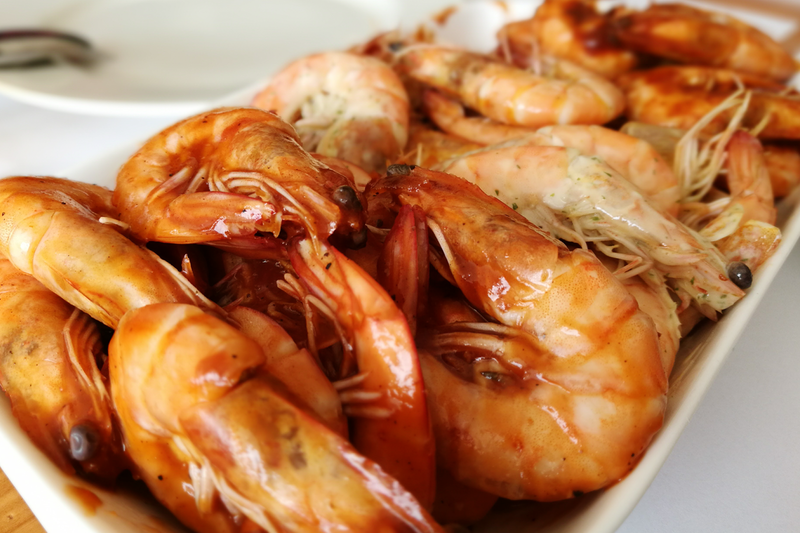 One reason why I was ecstatic to try out Papart's Diner and Cafe because they offered unlimited shrimps along with their unlimited chicken wings too. This is why I can say that they are unique because they offer not just chicken wings for the unlimited promo. And since Cebuanos love eating a lot, any dish that's tagged as "unlimited" is a big plus. Six pieces of fried chicken covered with the same options for sauce - Hot Arcadia, Mexican BBQ, Coco-Curry, Calamansi Garlic Butter, Honey Soy Garlic, Creamy Cheese, Sour Cheese, and Sour Cream. The choice of flavors for the shrimps and chicken wings are the same. And I loved that the flavor was not just on the outside but you can really savor it completely from the skin to the meat to the bones. In Filipino words, it's nuot sa sarap or sagad sa buto ang sarap. 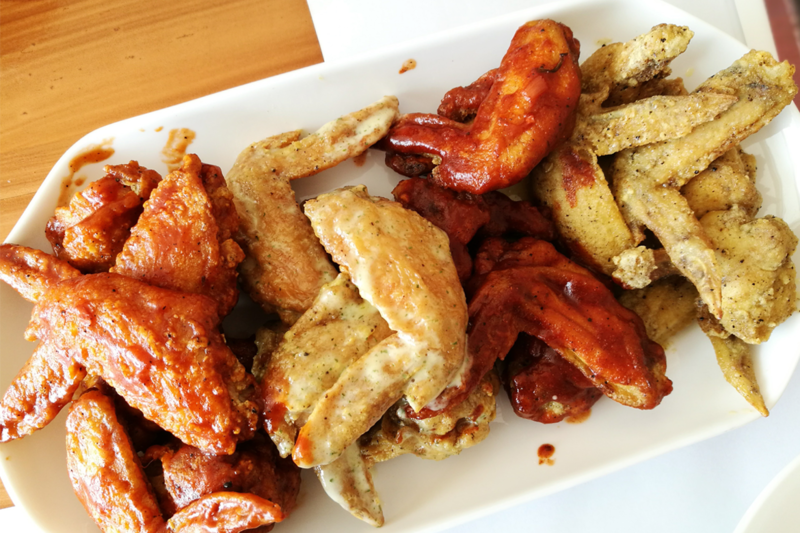 What I love about Papart's Diner and Cafe's version of unlimited chicken wings is their choice of flavors. Tere and Debbie surely thought and planned well on how to excel and differ from the others. My favorites were Mexican BBQ, Calamansi Garlic Butter, and Sour Cream. Unfortunately we were not able to try Coco Curry and Honey Soy Garlic since the ingredients for the sauces were not available at that time. Succulent scallops sizzled perfectly with butter and spices. 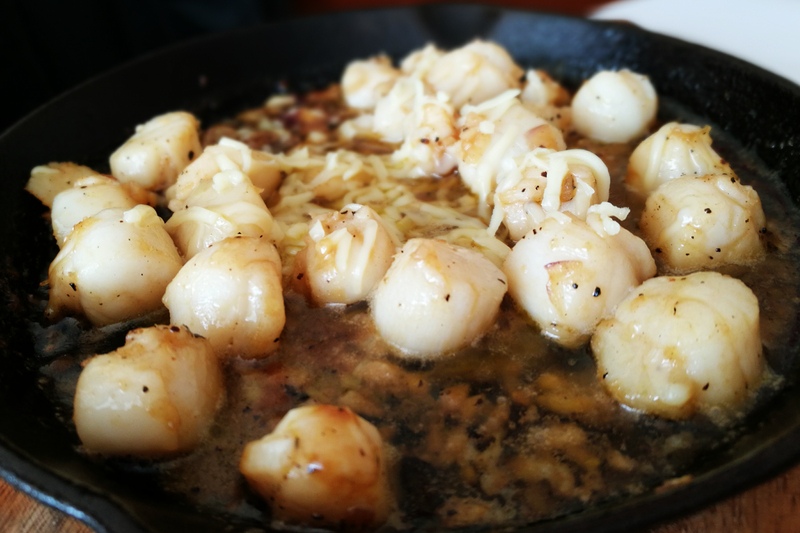 I am a huge fan of any dish with scallops and I was utterly amazed that Papart's Diner and Cafe offers scallops at a very affordable price! If you dine at a restaurant, you'll get around 6-10 pieces of scallops worth Php 200 or more. But at Papart's you'll get more than ten pieces for only Php 150! And you can't question the quality because the scallops were freshly cooked and flavored perfectly. Sizzling soft-grilled Tangigue topped with butter and basil. We were surprised (I was with Sheen and my friend Dani) when this dish was placed in our table since we were already having a hard time finishing everything off. But the aroma of the butter and basil was too appetizing that Dani and I were really tempted to try. 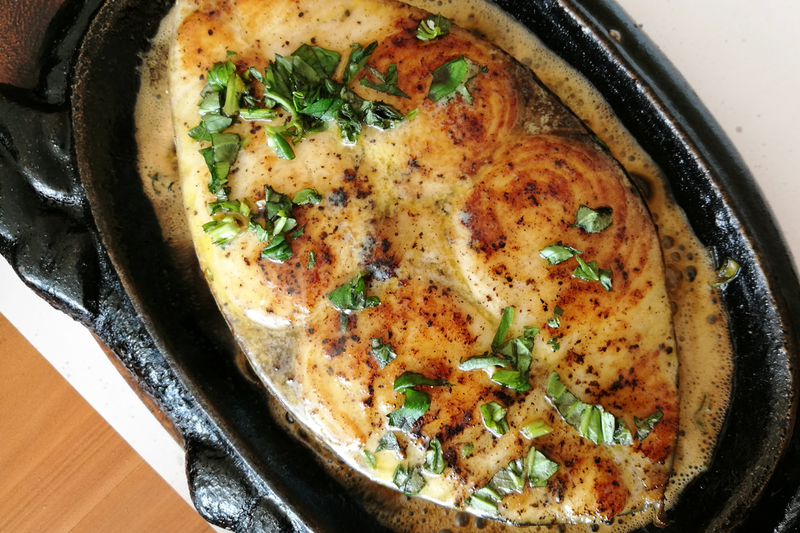 The serving was generous, the fish was tender, and the basil really worked its magic in adding an herby flavor to the fish. Tere made sure we go home with happy tummies and served us their humble milkshake. Their milkshakes are very affordable because the ingredients they used are not expensive and "premium". They used ingredients that will make you remember all your childhood memories such as Knick Knacks, meringue, Stick-O, Milo, and more. Sheen and Dani only got to taste a little of the milkshake and I was the one who finished it all off. Thank you guys! Haha. 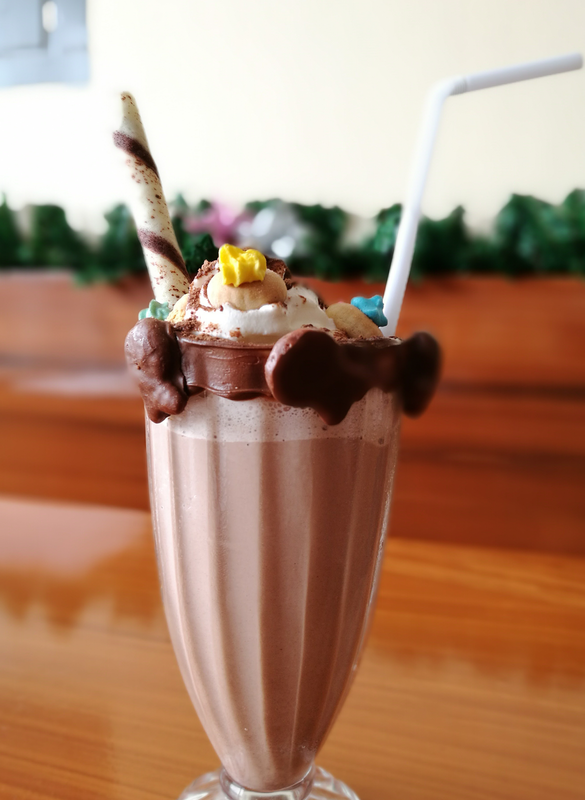 I was really happy and enjoying the milkshake because of its youthful concept. During our conversation with Tere, she mentioned that she prefers to use local ingredients and doing the shopping of the ingredients herself early in the morning to support the local market and industry. This explains why their shrimps, scallops, chicken, and fish were really fresh. This only shows that Tere and Debbie are really passionate in what they do and I truly wish them good luck on their new food venture at Papart's Diner and Cafe. Good job, Tere and Debbie! And thank you so much for having us!